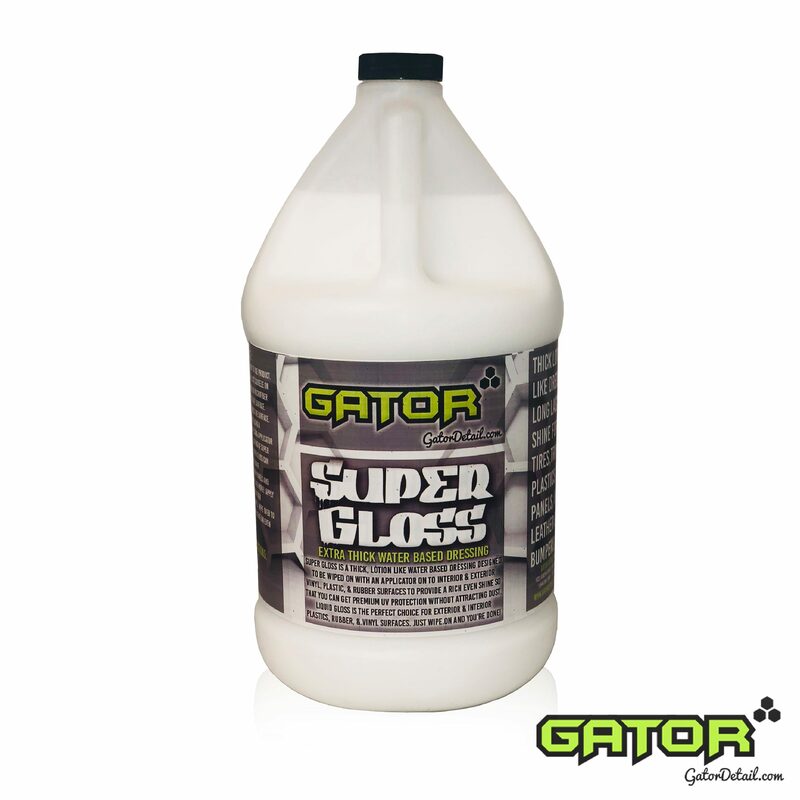 Gator’s Super Gloss is our premium Water-Based high gloss Vinyl, Plastics, and Rubber Dressing. Super Gloss is a rich water based conditioner that softens and renews faded surfaces of vinyl, rubber, and plastic, plus it provides a UV protective coating. It can be diluted 1:1 with water for less gloss and better “spray-ability”. Super Gloss is a Exterior & Interior Safe Dressing that will provide a beautiful glossy finish and doubles as a UV barrier and surface protectant. Super Gloss is commonly used on engine compartments, exterior bumpers, plastic trim, wheel wells, skid plates, mud flaps, and tires, as well interior surfaces like the instrument and door panels, car dashes, console panel, and leather.